Not falling behind Apple and Google's competition, Samsung announced the addition of PayPal as a payment method for in-app, online, and in-store purchases paid using Samsung Pay. At first, only US users will have access to the functionality, but it will gradually be expanded to other countries. Following Samsung and PayPal's agreement, customers will be able to access and use their PayPal wallet and balance anywhere Samsung Pay is accepted. The payment system works on almost every terminal where a card can be tapped or swiped. Samsung's move comes after Apple added PayPal support to the App Store, iTunes, and Apple Music in Canada and Mexico. The company is looking to gradually expand into other countries. Prior to that, PayPal functionality was integrated into Siri, the AI voice assistant. Meanwhile, Android Pay was the first to come up with PayPal integration, which was announced in April this year. One of the few Samsung features worth talking about. A real mobile payment service, it the most useful ! Of course Samsung Pay is the best mobile payment service, beacause it supports NFC and MST, While Apple Pay Android Pay use NFC only, Samsung Pay supports Magnetic Secure Transmission – alongside NFC, which means it works with any payment terminal that accepts contactless payments or the more traditional method of swiping your card through the reader 90% of stores use MST. This makes Samsung Pay the most widespread and useful! The rewards points that Samsung Pay offers make it worth using over any other mobile payment service. Yep. Earned $65 in gift cards in the first 6 months in Canada. 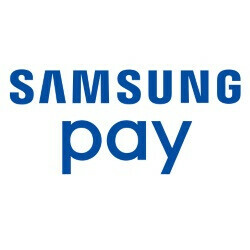 I am still waiting for Samsung pay to come to expand to other banks in Canada.....whats the hold up? Now just need this to be available in Canada, then I'll never need to think of "is my bank supported yet". Already using my 4% cash-back card on my PayPal account, just waiting to be added to Samsung Pay on a Note 8. Is that what people who aren’t on Apple Pay saying? Is my bank supported yet? No, people on Samsung Pay are too busy explaining to Apple Pay users why we can use our phone to pay at all stores but they can't. It’s kind of a hilarious position. Boast about using it anywhere, when like what? 19? banks support Samsung Pay lol. Obviously not nine, but probably 19 percent of what Android Pay supports, and at most 5% of what Apple Pay supports... Good luck using your precious tech “everywhere”. It’s why I held out buying the Note 7 (pre disaster). Will probably and most likely buy the S9 next year when more banks and credit cards are on board. I don't need luck. I use it everywhere. And, your point is moot with PayPal now included. The best just got better. Tedkord is a fanboy. You can't tell him anything. Flash is an ironic poster and troll, you can tell him anything. Oh, he's also Mxyzptlk and Batmite. That's what they're saying when they're looking to upgrade to a Samsung Smartphone for the first time and are eager to use Samsung pay to fully replace the cards in their wallet with virtually no limitations. Already been using UGO wallet to gain the exact same benefits of Apple Pay on my OnePlus before Apple Pay even landed in Canada, so, its existence is useless to me. Would still need to keep my cards with me for those cases where NFC ain't available, only swipe. Samsung Pay is simply on a whole new level, with it being usable at ANY merchant where I can pay with my card. Wrong. You can use it at any merchant that you can swipe your card at, but not at all places. Samsung Pay won't be replacing cards entirely. "You can use it at any merchant that you can swipe your card at, but not at all places." Only place it won't work where a card would work is at ATM and Bank machines, both of which you'd only be going to when you're in need of hard cash, which is 99% of the time not the case for me here in Canada. Of course not. None of them will. You're not going to hand your phone over to a waitress to pay the check. It also won't work at insert type terminals (like gas pumps, though there is a way to do it there). However, it is the most complete of the existing tap to pay implementations. Awesome! Maybe I'll finally try it now. Samsung Pay just git real big! I lovin' it so far. My PayPal card won't load yet so it must still be in the works. As for Samsung Pay, I've used it all over the world. I've been puzzled by reports saying it's being launched in this country or that country when I've been using it there. I think it means banks in those countries are now letting there customers link their accounts to Samsung Pay. AMEX was on board from the beginning.